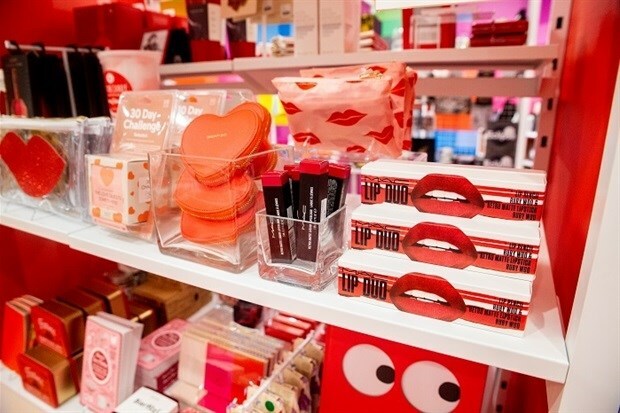 With themes changing every few months, Story at Macy’s will deliver new concepts through its signature blend of collaborations, narrative-driven merchandising and event programming. 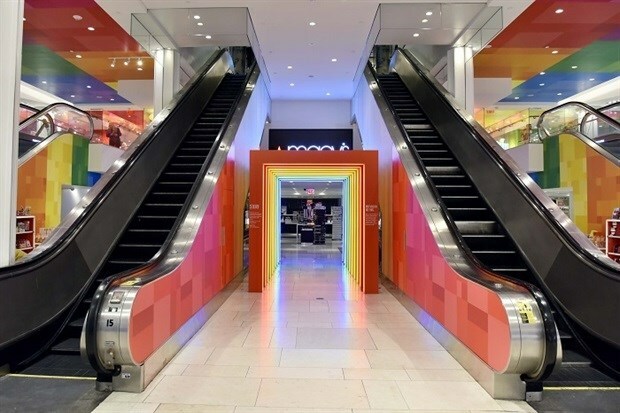 “The discovery-led, narrative experience of Story gives new customers a fresh reason to visit our stores and gives the current Macy’s customer even more reason to come back again and again throughout the year,” said Jeff Gennette, Macy’s, Inc. chairman and chief executive officer. In the lead up to launch, more than 270 dedicated Story Managers and Story-tellers were hired and participated in 'Know + Tell', a new experiential retail training programme that immerses staff with integrated roles on everything from building fixtures to customer engagement and event production. 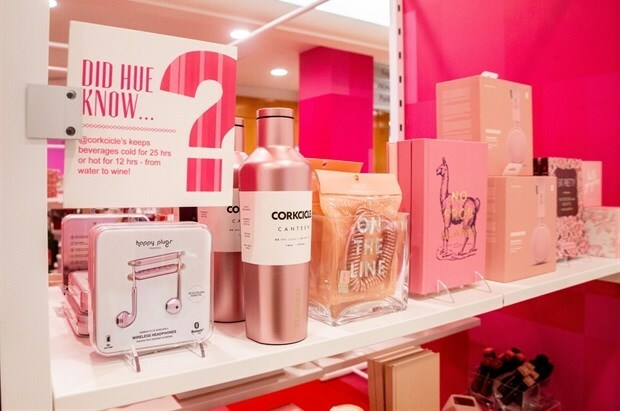 To bring the Colour theme to the forefront, the team assembled a creative collective of industry leaders to design a striking in-store experience. Award-winning NYC designer David Stark was given a blank canvas to envision a way to introduce the Story brand at scale through a vibrant experience. Stark expands his vision into a colorful circus, complete with faux fur columns and endless Instagram-able moments. Longtime Story partner Flor enlivens the space with a custom pixelated patterned carpet, creating an organising principle to help navigate guests across a spectrum of colour and cross-category merchandise. 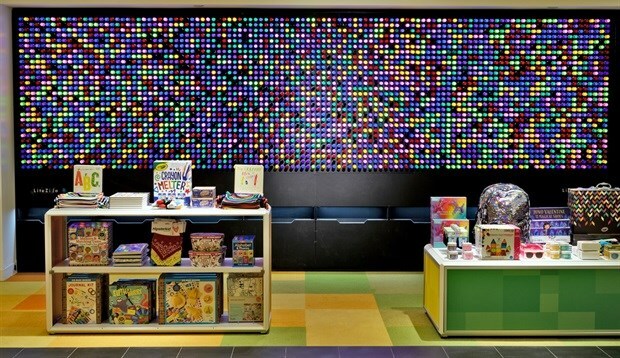 The in-store design is animated with a giant interactive Lite-Brite experience produced by LiteZilla and an illuminated rainbow tunnel featuring colorful Tetra Contour technology from Current by GE. And to provide a versatile and easily adaptable canvas for its merchandise assortment, Story leaned on its partnership with Italian fixture company Alu, which customised one of its fixture systems to serve an ever-changing model while offering a fresh look for the store's shopper. 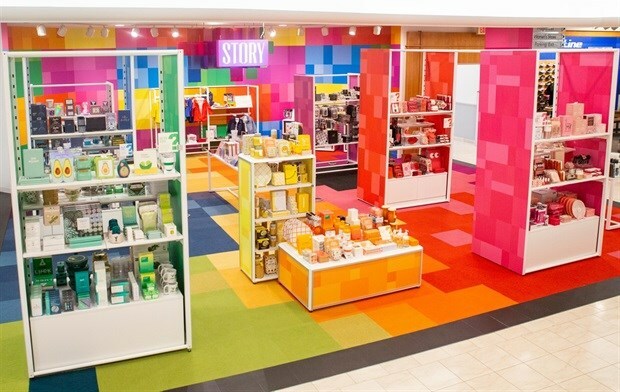 For Colour Story, Macy’s brings its ‘feed’ to life via a bright journey expressed through a curated assortment of merchandise for men, women, kids and the home. More than 70 small businesses featuring more than 400 products come together to make the experience a gifting destination. From the national in-store debut of Primary, an online kidswear brand, to gourmet chocolate bars in unique flavours like coffee and doughnuts from LA-based chocolatiers Compartes – there is something for everyone. To further bring colour authority to the conversation through colour-inspired events and experiences, MAC Cosmetics, Crayola and Levi’s Kids contribute a lineup of events and integrated merchandise moments. Mac Cosmetics joins the concept with an experience that features Mac’s custom-build service, a 'Make Your Own' palette station, available at 30 select Story at Macy’s locations. Guests will also have the opportunity to take beauty classes on-site from expert makeup artists. 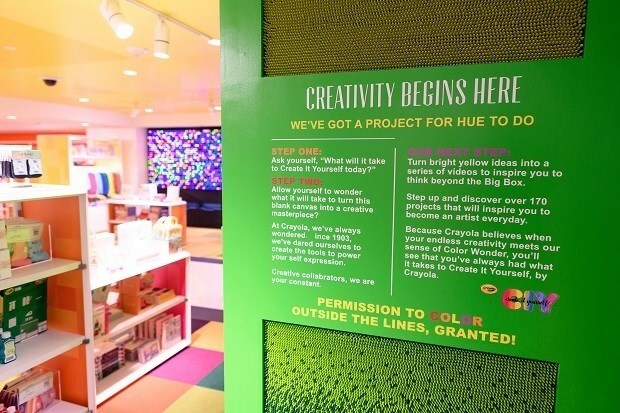 Crayola will have hands-on workshops featuring its Create it Yourself Network of crafting videos. This series inspires inventive uses for Crayola products through hands-on workshops and classes like Melted Crayon Canvas artwork to creating custom patches to adorn Levi’s Kids clothing with fabric markers. Older kids are catered for with events like P.S. We Love Hue: Crayoligraphy hand lettering workshops. Levi's Kids will preview a selection of pieces from its Levi’s x Crayola collaboration debuting at Macy’s. A few select pieces from the collaboration will be available before the full line officially launches mid-June at select Macy’s stores nationwide.